ANALYSIS: Egypt’s June 30 events - Coup or Revolution? Egypt Today, by Nawal Sayed. Excerpt Analysis: Egypt's June 30 events - Coup or Revolution? CAIRO – 30 June 2018: Five years after the ouster of Brotherhood-affiliated President Mohamed Morsi, Egyptians have taken to the streets again, but this time to commemorate the fifth anniversary of the June 30 Revolution. Some still doubt the motives behind the second popular uprising that took place less than three years since January 2011. Some others have frequently accused Egypt of imposing restrictions on the freedom of expression and human rights violations. One of the Brotherhood’s allegations is that the people’s will that was witnessed in the streets calling for the overthrow of Morsi in June 2013 was actually a military coup. Coup d'état refers to a “sudden defeat of a government through illegal force by a small group, often a military one” according to the Cambridge dictionary. Another definition is found in the Oxford dictionary as follows: “a sudden, violent, and illegal seizure of power from a government.” The two definitions of “coup” thusly cannot be said to represent this case. On the contrary, the Cambridge dictionary defines ‘revolution’ as “a change in the way a country is governed, usually to a different political system and often using violence or war,” and this reflects the June 30 case. When Egyptians chanted “bread, freedom, and social justice,” the main demands of the January 25 revolution, they thought their demands would be easily met by the Muslim Brotherhood group which “stole the revolution from the youth” as observers described then. However, the three demands were not met by the first elected administration of the MB, which is currently outlawed in Egypt and other Arab countries. Why did army interfere to June 30 revolution? The one-year rule of the Muslim Brotherhood in Egypt and the misbehavior of Morsi and his group showed how he lacked a basic understanding of Egyptian political dynamics, and that is why he was unable to complete his term in office. Morsi could not accomplish any progress at all in dealing with Egypt’s internal and external challenges, from minor domestic challenges to the external threats facing the government. In 2012, Egyptians had high expectations after the revolution in 2011. In addition, Morsi was manipulating the political scene by appointing his affiliates in all government organizations and institutions, giving them privileges, enabling terrorist groups to expand in Sinai, threatening Egyptian national security and working hard to Brotherhoodizing the Egyptian civil state. On July 1, Egypt’s Supreme Council of the Armed Forces (SCAF) issued a statement titled "The Final Hours" that read: "We swear by God that we are ready to sacrifice our blood for Egypt and its people against any terrorist, extremist or fool." Former first lady Gehan Sadat was shocked when she saw her husband’s murderers honored and respected by Egypt’s then-President Morsi who brought the killers of late President Anwar Sadat to Cairo Stadium declaring ‘Jihad’ in Syria against Bashar al-Assad’s regime in October 2012. After the success of the security forces to disperse the Brotherhood sit-ins in Nahda and Rabaa al-Adawiya in August 2013, Brotherhood leader Mohamed Beltagi threatened Egyptians to continue supporting terrorist groups in Sinai if Morsi was not reinstalled as the ‘legitimate president’ of Egypt, according to a video circulated on the internet. This is a montage of the events that occurred in Egypt on June 30th, 2013. On that day the world witnessed the largest protests in human history. Enjoy! Egypt’s qualification for the World Cup showed that the country is capable of competing at the highest international level. Rather than treating its loss as a failure, Egyptians should view it as a learning experience, one that can guide the country as it seeks to achieve its full potential. LAGUNA BEACH – Egypt’s national soccer team rode to Russia for their first World Cup finals in 28 years on a wave of lofty expectations and potent fan enthusiasm. They are now returning home having lost all of their games – no small disappointment for a country that takes both soccer and national pride very seriously. Now, a blame game has erupted from which no one seems to be spared. This may be understandable, but it is not constructive. Indeed, it risks obscuring important lessons that can help not just Egypt, but also other emerging economies, to fulfill their considerable potential—indent just in soccer. The first lesson is to manage expectations. The run-up to the World Cup was dominated by well-deserved praise for the team’s star player, Mohamed Salah, who was English football’s 2017/2018 double player of the year and has become an idol for millions of Egyptians. Add to that the fact that Egypt had not qualified for a World Cup final since 1990, and expectations ended up far exceeding what the team could realistically achieve in the tournament. This was all the more true given that Salah recently suffered a dislocated shoulder, which forced him out of Liverpool’s Champions League final against Real Madrid and sidelined him in Egypt’s first pivotal game in Russia, against Uruguay. Yet Egyptians remained hopeful – indeed, too hopeful – and ended up far more disappointed than, realistically, they should have been. Such disappointment can cause expectations to overcorrect in the opposite direction. The second lesson is to take advantage of strengths to support diversification. Egyptians’ enduring hope for their soccer team after Salah’s injury was not rooted in the knowledge that there was some other secret weapon waiting to dazzle the crowd. On the contrary, Egypt’s game plan continued to rely substantially on Salah, whose talent was well known, but who was unable to play at full potential. The team’s tactics were also slow to evolve, even after opponents double- and triple-teamed Salah. Rather than diversify from a position of strength, managers became stuck in “active inertia” – trying to do more, but still locked into their established approach, even as it came up against fundamental challenges. The third lesson is to finish the job. In Egypt’s final World Cup game – a crushing 2-1 loss to Saudi Arabia that put the team at the bottom of its group – both of the opponent’s goals were conceded in the stoppage time of each half. As the game clock ticked down, the team’s concentration seemed to wane. Germany made a similar mistake, giving up two goals to South Korea in stoppage time. That does not work in soccer, nor does it work in business, policymaking, or just about any other field. The key to sustained success is never to let up until the final whistle is blown. The last lesson of Egypt’s World Cup experience is that international engagement can play a vital role in enhancing domestic capital and resources. Players who, like Salah, have opportunities to play abroad in highly competitive leagues can deepen and expand their skill sets, while developing a broader strategic understanding of the game. This puts them in a better position to improve the performance of the national team in regional and global competitions. The increased movement of players across borders has already contributed to a convergence among countries’ skill levels, reflected in the declining dominance of traditional powerhouses like Argentina, Brazil, France, Germany, Italy, and Spain. Indeed, Italy did not qualify for this World Cup, Germany lost in the group stage, and Argentina got a real scare. Greater efforts are needed to seize international opportunities for human-capital development, to repatriate the resulting knowledge and expertise, and to spread what is learned to more people at home. That is as true for soccer as it is for many other pursuits, from business processes to technology. Egypt’s qualification for the World Cup showed that the country is capable of competing at the highest international level. Rather than treating its loss as a failure, Egyptians should view it as a learning experience, one that can help guide the country as it seeks to achieve more fully its considerable potential on multiple fronts. In fact, the lessons learned from this disappointment can be applied well beyond soccer – and well beyond Egypt. وكان مجلس الوزراء المصري وافق، في مارس الماضي، على اتفاقية لأعمال الاستكشاف والبحث عن البترول والغاز في منطقة شمال سيناء البحرية "نور" بالبحر المتو. وقال عبد العزيز إنه "عقب حصول الشركتين على الموافقة من مجلس النواب المصري، ستبدأ أعمال حفر البئر الاستكشافية بالمنطقة لتحديد حجم الاحتياطيات المتوقعة بالحقل"
One of the largest wind power farms in the world will be inaugurated by the Ministry of Electricity and Renewable Energy in Egypt on Saturday, as part of the country’s efforts to increase the amount of electricity it generates from renewable sources. The wind farm is located in the Gabal El-Zeit area of the Red Sea governorate. It will have an overall capacity of 580 megawatts (MW). With a total of 300 wind turbines, the mammoth farm consists of three projects. Launched in 2015, construction has cost EGP 12 billion (approximately $625 million). In statements to the press, the head of the project, Osama Noman, described the wind power project as the “biggest in the world” in terms of area, number of turbines, and the capacities generated from the plan. The first phase of the wind farm is already running and connected to the country’s national grid. It includes 120 wind turbines and generates 240 MW of power. The second phase, which includes 110 turbines with an overall power capacity of 220 MW, and the third phase, which includes 60 turbines generating 120 MW, will be connected to the national grid this month. According to officials, the overall 580 MW capacity is aided by the location of the project, and by wind speeds in the area, which run at an average of 12 metres per second but have reached records of up to 33 metres per second. Steps have also been taken to protect migratory birds whose migration routes take them through the area. Around 37 different species of migratory birds pass through Gabal El-Zeit in spring and autumn. The new wind farm features a migratory bird monitoring system; operating via radar, it can shut down operations when birds are in the vicinity. According to the environment ministry, the monitoring system to protect the birds, which was implemented last year, is working successfully, with only a 0.03 percent effect on energy precaution. A number of new power-generation projects have been inaugurated in Egypt over recent years. Among them are the under-construction Dabaa nuclear power plant, in cooperation with Russia, and the 2015 Siemens megaproject, in cooperation with Germany, which includes gas and wind power plants. Egypt approved feed-in tariffs for renewable energy production in 2014, allowing the government to guarantee a certain price for energy produced so as to encourage investment in the renewable energy sector, with tariffs depending on designated production categories. Egypt has set a goal of obtaining 20 percent of its power from renewable resources by 2022, and 42 percent of its electricity from renewables by 2025. Another wind farm is also planned to be built in the Gabal El-Zeit area. In March, the Egyptian cabinet announced the inking of a deal between the Egyptian Electricity Transmission Company (EETC) and a consortium comprising Orascom Construction, French energy group Engie, and Toyota Tsusho Corporation, to build a $400 million wind farm in the area. The agreement is under a build-own-operate framework to generate a capacity of 250 MW. This represents a third of the total wind power currently generated in Egypt, according to the Egyptian cabinet. The wind farm will be linked to the national grid for trial operation by mid-2019, and will be fully linked by the end of 2019. The transformation of the wind’s kinetic energy into power is only one of the Egyptian government’s plans to boost the country’s energy potential through renewable resources. In March, Egypt inaugurated the first phase of the Benban solar park in Aswan, set to be the largest in the world upon completion, at a total capacity of 1.8 GW. The project, which was set in motion by President Abdel Fattah El-Sisi in 2015 and allocated a 37-square-kilometre plot, is set to be completed by mid-2019. In March the first 50 MW power plant was inaugurated; it had begun trial operations in December 2017. The International Financial Corporation is providing $653 million for the construction of 13 solar power plants in the solar park, according to a statement in October 2017. The European Bank for Reconstruction and Development is also providing financing for 16 projects in Benban as part of its $500 million framework for financing renewable energy in Egypt, the bank said in September 2017. Other solar power projects are also planned for Aswan, with a framework agreement signed in May between the National Authority for Military Production and Chinese company GCL to build a solar-panel manufacturing complex at a cost of $2-3 billion in the governorate, with a manufacturing capacity of 5 GW. Implementation is set to begin this year and production is expected to start by 2019, to reach full capacity in 2022. In January, Siemens Gamesa secured a contract to construct a 262 MW wind turbine in the Gulf of Suez. The deal is part of an agreement signed by Siemens and the Egyptian government in 2015, to supply gas and wind power plants to boost the country's electricity generation by 50 percent. Under the new agreement, the Spain-based company will install 125 of its G97-2.1 MW machines at the wind farm in Ras Ghareb. Construction of the facility is scheduled to be complete in mid-2019, with operations expected by the end of that year. President Abdel-Fattah El-Sisi has pledged to turn Egypt into a centre for commerce and energy, making use of its geographical location between the biggest producers and consumers of energy. A nation’s history is made up of critical moments that define it and create its place in world history. With its seven-millennia history, Egypt has experienced hundreds if not thousands of such historic moments, many of which did not only impact the Egyptian nation and the region, but also changed the wider world. The 30 June Revolution in 2013 was one of those defining moments. 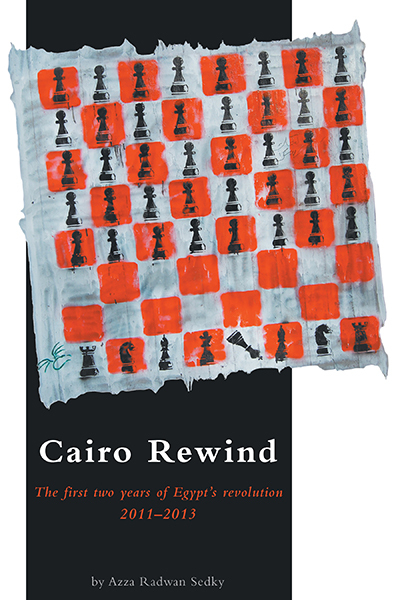 A year before the 30 June Revolution took place, the terrorist Muslim Brotherhood group had managed to take a tight grip on power in the country, sending it into uncharted waters. The Brotherhood and its Islamist allies were not content in holding most of the seats in parliament, however. It also took power in a controversial presidential election that witnessed rigging across the country. Brotherhood member Mohamed Morsi became president in some of the most-troubled times in Egypt’s modern history. It did not take long before Morsi started to implement his divisive policies, which aimed to enable the Islamists to grab hold of the country as a whole. He started by decimating the Supreme Constitutional Court, the highest court in the land, purging it of the opposition including former judge Tahani Al-Gebali, Egypt’s first woman judge. However, the epitome of the crisis came on 22 November 2013 when Morsi issued an edict granting his executive orders immunity from being contested in a court of law, which is the standard practice in Egypt. Morsi thus granted himself absolute power as president in a way that had never happened since the formation of the Egyptian Republic in 1954. In other words, he rendered the Constitutional Declaration of March 2011 null and void, believing he had outsmarted all opposition to his rule. Yet, Morsi was not protecting himself by tampering with the constitution, and instead he was breaching the contract between him and the nation which was his only protection. He was thus making his presence as president unconstitutional after 22 November 2012. The moment Morsi committed his horrendous political act, he forfeited the protection of the constitution under which he had been elected. The first wave of protests against his rule started after this edict, displaying the people’s anger at Morsi’s power grab. A few months later, the largest grassroots opposition movement ever seen in Egypt, Tamarod, managed in record time to gather 22 million signatures demanding that Morsi accept new elections and calling for a massive uprising to take place against him on 30 June 2013. Morsi’s insistence on grabbing yet more power only speeded up his end, as he refused all calls for negotiation by politicians and army alike, insisting that he was the country’s absolute ruler. As a result, on 30 June 2013, the finest hour in Egypt’s modern history took place when 33 million Egyptians rallied across the nation from Alexandria to Aswan demanding that the Islamist president step down. This was a show of people’s power unprecedented in modern history. People took to the streets in an unprecedented show of solidarity and in the name of patriotism and freedom. It took only three days for Morsi and his Islamist regime to fall under pressure from the street and then the army, ending a dark chapter in the history of modern Egypt. Egypt thus became the first predominantly Muslim country to oust an Islamist regime through a popular revolution, a feat never attained before in countries such as Iran, Turkey or Hamas-ruled Gaza. The Egyptian people sent a message to the world that Egypt has been and always will be a secular state that cannot be swayed by religious fanatics and will continue to be a beacon of tolerance and progress in the region. The price of this message was high, however, as thousands of people, including men, women and children of all creeds, died during the waves of terrorism that the Muslim Brotherhood launched across the country. The military and the police have lost thousands of their finest and bravest in fighting these terroristic waves, and they are still under threat in North Sinai after the terrorist groups there have been dealt severe blows that have neutralised them across the rest of Egypt. The Brotherhood has now been forced to operate from abroad, aided by terrorist-supporting regimes in Turkey and Qatar. Before the 30 June Revolution, a significant portion of global public opinion was misled by Islamist lies, thinking that the Islamists could create a democratic system within their native societies. It was because of the dictatorships in the Middle East that they had been stopped from developing democratic rule, they claimed. Turkey was cited as an example of the success of the Islamists in embracing democracy, though later it was shown that the Turkish Islamist experience was destructive to Turkey and its neighbours. The blood baths orchestrated by tyrannical Turkish President Recep Tayyip Erdogan and his ambitions to restore the Ottoman caliphate have borne witness to his abuses of democracy to consolidate power. A peaceful and jovial man is the first impression visitors have of Baki Zaki Youssef, a retired military engineer whose name is forever associated with one of Egypt’s moments of glory: the fall of the Israeli Bar Lev Line defences on the first day of the 1973 6 October War. From his festively decorated Heliopolis home, where he lives with his equally vibrant spouse Awatef (or Toufi as he affectionately calls her) the sharp eighty year old closely follows the complex political developments in Egypt with an analytical eye. Youssef has dedicated the best years of his life to two of this nation’s most significant events: the construction of Aswan's High Dam in the 1960s and the liberation of Sinai in the 1973 war with Israel. It was his years working as an engineer using powerful jets of water to remove blocks of sand during the construction of the dam that inspired his genius, explosive-free and cost-effective plan to use water to break the invincible "Bar Lev Line" sand wall. The 100km fortification was built by Israel on the Eastern side of the Suez Canal after the 1967 war and prevented Egyptian tanks from entering Israeli-occupied Sinai for six years. Youssef starts by summing up the last two tumultuous years in Egypt. “There was a revolution that ended the rule of Hosni Mubarak who was very good in his early years - I served with him in the army so I know he started as a good man at heart. After that the only plausible powers that could have taken over was the military." The Egyptian Armed Forces, he continues, put up with their increased responsibilities, then came the rise of the Muslim Brotherhood who had been oppressed since they fell out with former president Gamal Abdel-Nasser following the July 1952 Revolution. “Now the Brotherhood is in power; they are being tried by a people who are looking for change but they are not proving to be a very good alternative. Not because they are offering an Islamic, or what people call now an Islamist, solution but rather because they are not offering any solution at all to so many problems that this country is suffering from." A lack of vision, Youssef pontificates, is always a problem for any individual but it is catastrophic issue for a country's leader. “The trouble with the Muslim Brotherhood today is that they are not of the same calibre as those members of the Muslim Brotherhood of the past," he continues, "before members of the Brotherhood had their heart at the right place; you don’t have to agree with them but you have to give them credit for being much more intelligent and more principled than this generation of the Muslim Brotherhood." Toufi nodds approvingly. Together, the Youssefs shared memories of the individuals that they have met, including the spouses and siblings of friends, who joined the Muslim Brotherhood in the 1950s and 1960s. “They had faith and they had a vision; they were not violent and they were not aggressive even if, and this was not always the case, they were reserved and not sociable,” Youssef states. Today, Youssef says it would take someone from within the Muslim Brotherhood with a serious strength of character to speak up and amend the path that the Islamist organisation has taken so far. However, Youssef clarifies, he is not calling for people to confront the Brotherhood about their way of governing the country but instead, to reason with the group. “Sometimes people think that they know everything they need to know. When you tell them something different, at first they reject your suggestion, but after a while they make sense of what you've said – provided you are saying something meaningful,” he says. This was exactly the approach that a younger Youssef used to propagate his idea of pumping water from the Suez Canal and using it to blast the Bar Lev Line into the canal. My two cents: Because we know better? The film was shown to European audiences in Germany and Austria earlier this month, but the Beirut-based MC Distributors, which holds the screening rights in Egypt, told Al-Monitor that they are uncertain whether the movie will ever find its way to Egyptian theaters. The company is concerned that the film, which has been fiercely attackedby some Egyptian critics for inaccuracies and other faults, would flop in the motherland of the Egyptian singer.